Cathode ray tubes are handled by the LORENTZ module. 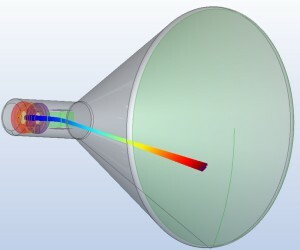 This is a trajectory calculation module that is added to any of our field analysis programs, or combinations thereof. The LORENTZ product page presents more specific options.